In an effort to get in a bit more practice with Statamic, as well as to have a shiny new portfolio, I set out a couple of days ago and built a brand-new site. Showing just how easy Statamic is to use, I started out mid-day Monday, with absolutely nothing, and by Wednesday morning I’d finished up my new portfolio site. While it is just a one-pager site, it is fully responsive, has not only the portfolio items as scrollers, but also has a contact form and big, beautiful rotating background header area. All of this backed by Statamic as the CMS for the site. This portfolio site is something I’ve been wanting to do for a while, but just hadn’t set aside the time to build for whatever reason (read: procrastination). But I decided after building the new Elixir site, and finding Statamic really a pleasure to work with, that I’d hop in, and just get it done. The new portfolio features icons, site designs, animations, 3D graphics and more for you to peruse. So go and have a look. I’ll wait here until you’re done. Go ahead. Back?! Sweet. What’d you think? Need a site designed? Maybe some 3D illustration or icon work completed? 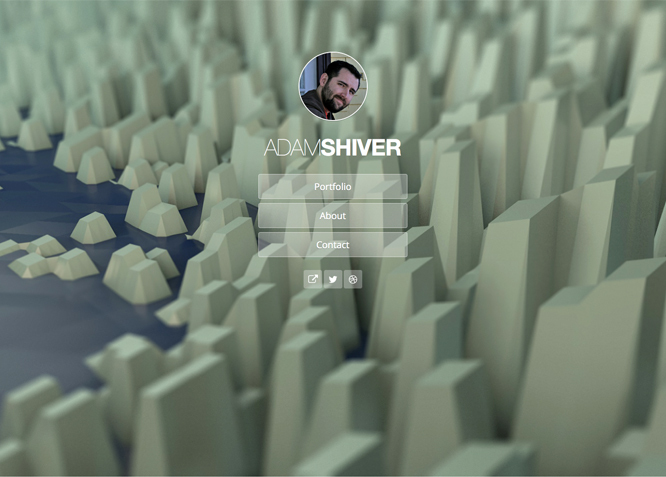 Feel free to use the form on the portfolio site to let me know. Don't have a budget for custom work right now? Maybe some stock art or one of our icon sets will help get your project started.